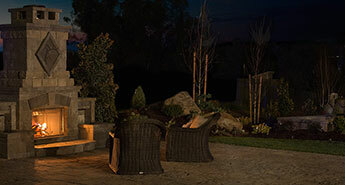 Led landscape lighting & outdoor lighting options have been around for years are continuously evolving. A great benefit of LED lighting products is that LED bulbs last longer than other lighting options. Another benefit of Led landscape lighting is the ability to change colors without having to change bulbs or add color filters. Coastal Irrigation & Plumbing has been a preferred vendor of FX Luminaire since 2001. FX Luminaire is one of the top-rated manufacturers of LED landscape lighting & outdoor lighting products in the world. 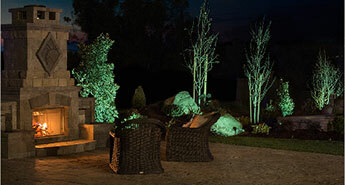 FX Luminaire & now Coastal Irrigation & Plumbing has lighting options where color temperatures can be adjusted to match vegetation and architecture, offering unique landscape looks throughout the year. Imagine your lighting features having the ability to offer 30,000 different color choices for unmatched ability to customize landscape lighting for any, mood, occasion or season. Easily create a personalized color palette of 250 user-saved options with easy control access right on your smartphone. ADD A SPECTRUM OF COLOR POSSIBILITIES FOR HOLIDAYS, GAME DAY, OR ANY DAY. CREATE CUSTOM COLORS FOR ANY OCCASION AND STORE THEM AS THEMES. 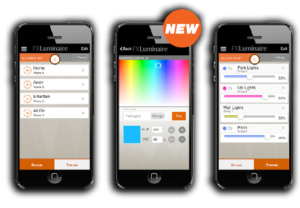 EASY TO ACCESS, USE & CHANGE COLORS, BRIGHTNESS, & ZONES IN THE PALM OF YOUR HAND. Coastal Irrigation & Plumbing is excited to offer Color Changing Led Landscape Lighting & Outdoor Lighting technology from FX Luminaire. 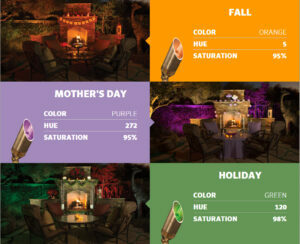 For more about color changing lighting including an online demo visit www.fxluminaire.com. To contact one of our LED Landscape Lighting designers please complete our online request form or for the fastest response call one of our four area locations today.